Social check-in service Foursquare has upgraded its Android app to include support for version 4.0 Ice Cream Sandwich, adding features that work with the Android Beam NFC P2P service. The upgrade means that users with Android 4 NFC phones will be able to share Foursquare information such as venues, lists and user profiles by tapping their phones together, as well as use NFC tag reading capabilities to check in to locations. 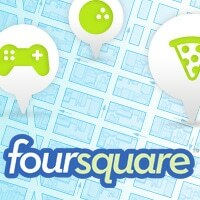 Foursquare also provides support for NFC tag reading in its Foursquare for Symbian app, introduced in November 2011. “We’re trying to leverage this because we feel that pinpointing someone down to a location through an NFC chip definitely has some value,” Holger Luedorf, Foursquare’s VP of Mobile & International told Untether.tv in an audio interview earlier this week.